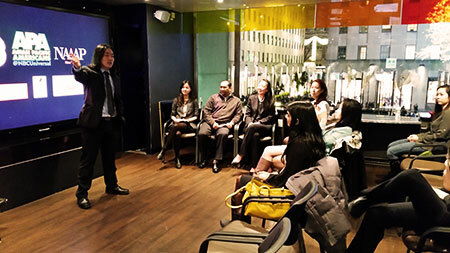 The Federation partnered with NAAAP New York, Asian Pacific Americans@NBCUniversal, and Ogilvy & Mather’s Red Lotus Asian Professional Network in a special Holiday Edition of "Talk Tuesday," a monthly community event at the NBC Universal Experience Store in New York City on December 9, 2014. Young professionals from various industries came to learn more about us and our community partners, APEX for Youth and Asian American Legal Defense and Education Fund. As we embrace the spirit of giving this holiday season, let us discover more ways we can "give back to our community" and support those in need. 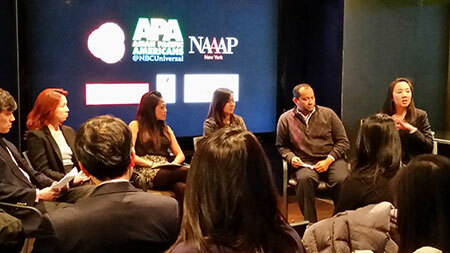 Thank you to everyone who attended and to NAAAP-NY and NBCUniversal for hosting a fun evening of learning, networking, and finding the best ways for folks to ‘give back’!